I Am China by Xiaolu Guo; Foreign Gods, Inc by Okey Ndibe; The Hunt for the Golden Mole by Richard Girling; The Secret World of Oil by Ken Silverstein. In 2013, Xiaolu Guo was named as one of Granta Magazine’s Best of Young British Novelists and, on the evidence of this striking novel, the judges made a wise choice. The book concerns Jian, a Chinese musician shuttled between British detention centres and psychiatric units as he attempts to claim asylum; and Mu, his girlfriend in Beijing, desperately trying to make contact with him. Their story is told by Iona Kirkpatrick, a London-based translator who has been contracted by an independent publisher to translate a dossier of their letters and diaries, as part of a project for a book. As she pieces together the story of Jian and Mu from their fragmented correspondence spanning several decades, Iona becomes increasingly fascinated with the trajectories of their lives: his from anti-establishment rock star to penniless exile, hers from shy student and doting daughter to punk poet. Using clues and hints in their letters, she sets out to track down and, if it is not too late, reunite the star crossed lovers. It is a quest that will reenergise her and set her on a path a world away from a life of arid technical translations. Xiaolu Guo handles her intertwined tripartite narratives with assurance and her characters are richly and sympathetically drawn. 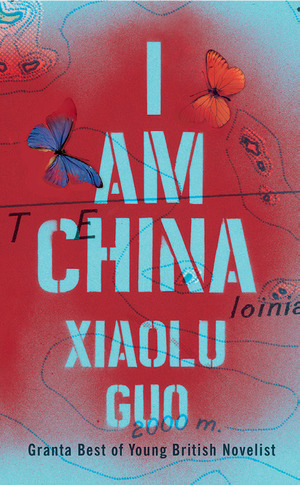 I Am China is a moving tale of life and fate, love and loss, that will stay with the reader long after the last page. It is 14 years since Okey Ndibe’s début novel, Arrows of Rain, which used the form of the police procedural to investigate the contract between the individual and the state. In this, his long-awaited second novel, Ndibe is again working at the interface between personal needs and the imperatives of society and, once again, he has lots of stories to tell. 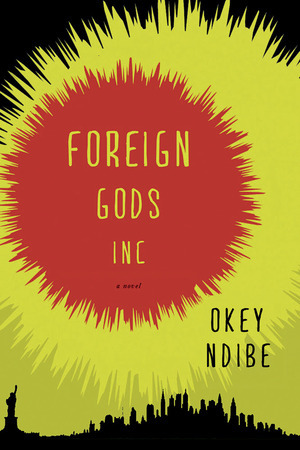 Foreign Gods Inc is the tale of Ikechukwu Uzondu – Ike for short – an educated Nigerian scraping a living as a taxi driver in New York, following a disastrous marriage that almost bankrupted him. Looking for a way out of his financial predicament, Ike chances across an up-market shop selling ‘Foreign Gods’– idols and artifacts of deities from Africa and Asia. He hits on a scheme to return to his home village in Nigeria and steal its war god, Ngene, with a view to selling it for a huge sum. Unsurprisingly, Ike’s plans do not run smoothly and, once in Nigeria, he finds himself battling endemic corruption, the baleful influence of an evangelical church and, not least, the warring factions of his own family. This highly readable novel is chock-full of memorable characters and liberally sprinkled with sprightly dialogue and wordplay. It leaves the reader ponder ing on the dilemma of what we are prepared to sell and what, despite everything, we choose to hold sacred and beyond price. In this fascinating book, subtitled ‘All Creatures Great and Small and Why They Matter’, nature writer Richard Girling has set himself a seemingly impossible task. His quest is to discover all he can about the Somali Golden Mole, a creature so vanishingly rare that the only evidence for its existence is a fragment of jawbone found in an owl pellet in 1964. We have become sadly used to endangered and extinct species but, in choosing as his topic an animal that has never been spotted in the wild and for which we possess such scant data, Girling has surely hit on the ultimate in obscurity. 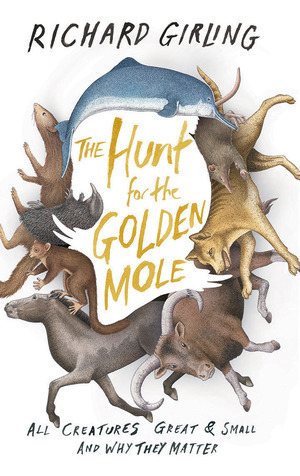 In truth, his search for the Golden Mole is a convenient, if entertaining, pretext to discuss humanity’s troubled relationship with the world we inhabit. Girling rightly points out that we live in an age of extinctions: the Thylacine, Quagga and Yangtse River Dolphin all gone, with many more species teetering on the edge. The fate of the Yangtse Dolphins is an exemplar of human folly in that, despite the money and the ability to save them, they winked out due to red tape and procrastination. Girling ranges far and wide in his mole hunt even if, predictably, he does not find a specimen, alive or dead. However, he certainly makes the case for our species, which is the cause of so much ecological devastation, to preserve, protect and cherish what we still have. No single area of global trade creates as much wealth, havoc, hegemony, lies and misery as the $6 trillion-a-year energy induct ry. 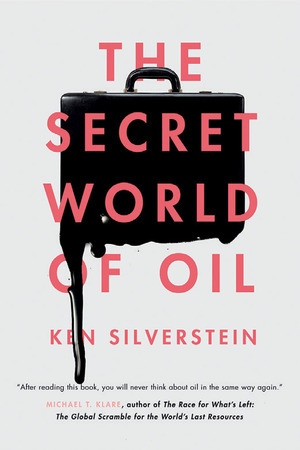 In a bid to understand what makes it tick, left-leaning hack Ken Silverstein wines and dines with some of the faceless fixers and traders you never get to hear about in oil industry magazines. He goes with them to private members clubs where, over costly dinners, they openly brag about greasing the palms of corrupt African dictators to extract oil for US energy companies. Silverstein’s informal tone gives the narrative the feel of a gonzo-style long-form magazine piece, rather than a book. When he can’t get access to Tony Blair or the president of Equitorial Guinea, Teodoro Obiang Nguema Mbasogo, he presents instead a long list of earnings and luxurious outgoings from each man’s personal fortune. Silverstein should be given marks for his honest journalistic credentials. But the book fails to tie its seven chapters together into a single cohesive thesis. And an author’s political and moral beliefs, alone, don’t always make great reading.